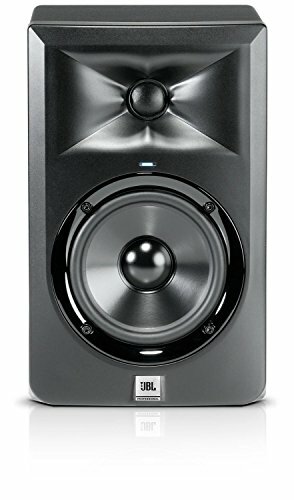 JBL LSR305 Professional Studio Monitor (PACK OF 2) by JBL Professional at Riot Recordings. MPN: FBA_LSR305. Hurry! Limited time offer. Offer valid only while supplies last. The LSR305, part of JBL's 3 Series studio monitor, is a 5'' powered studio monitor delivering professional performance at an affordable price points. Broad Sweet Spot -3-Series speakers deliver neutral sound across an unusually large working space regardless of room acoustics. This means you don't have to be right in front of the speakers to make accurate adjustments to your mix.^3 Series efficient Class D Amplifiers provide abundant power to deliver the output and dynamic headroom needed for the most demanding production styles^The impressive performance of the 3 Series Reference Monitors is the result of JBL's development of its flagship M2 Master Reference Monitor.